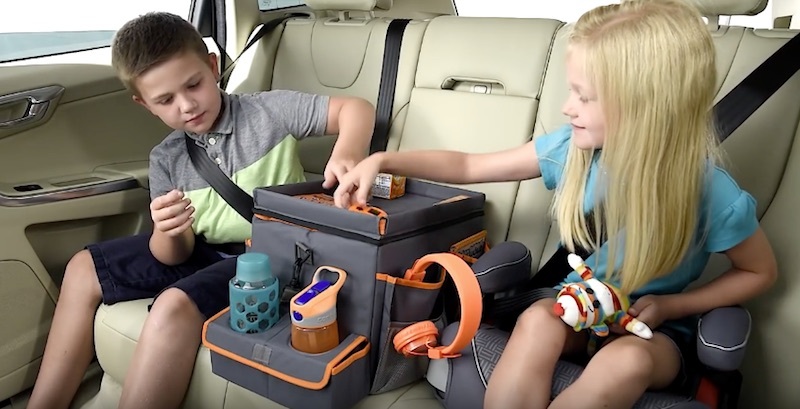 Is your backseat cluttered with your children’s toys and food? 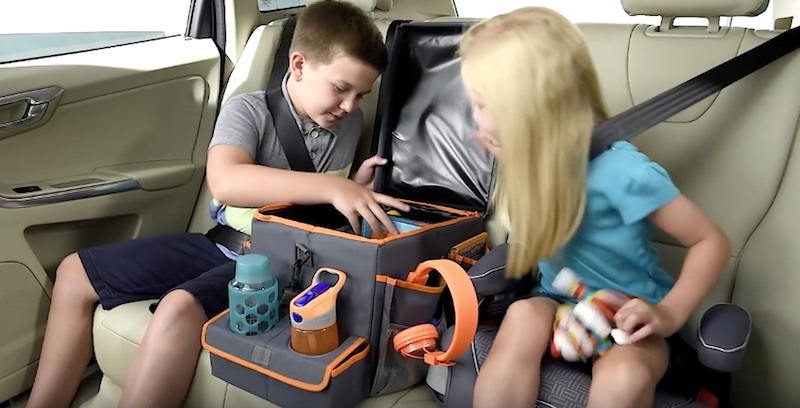 The High Road Kids Car Seat Cooler and Back Seat Organizer is perfect for you! 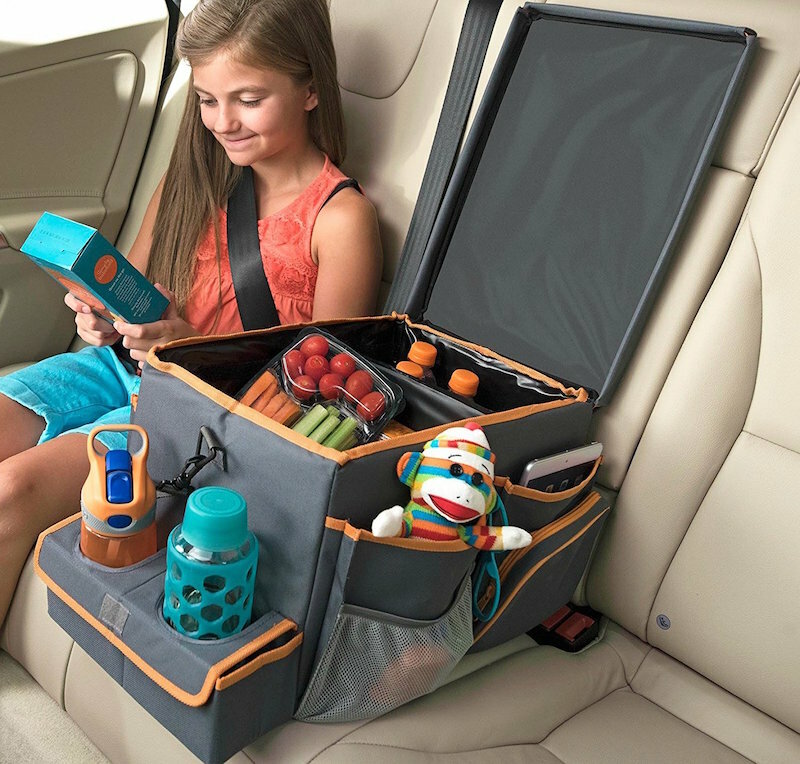 It’s designed to keep the backseat of your car clean and organized. It has outside storage pockets on both sides, and they can hold iPhones and tablets up to 7″ wide. The pockets can also hold game stations, books, headphones, and chargers! Whatever you need, you can store it easily. 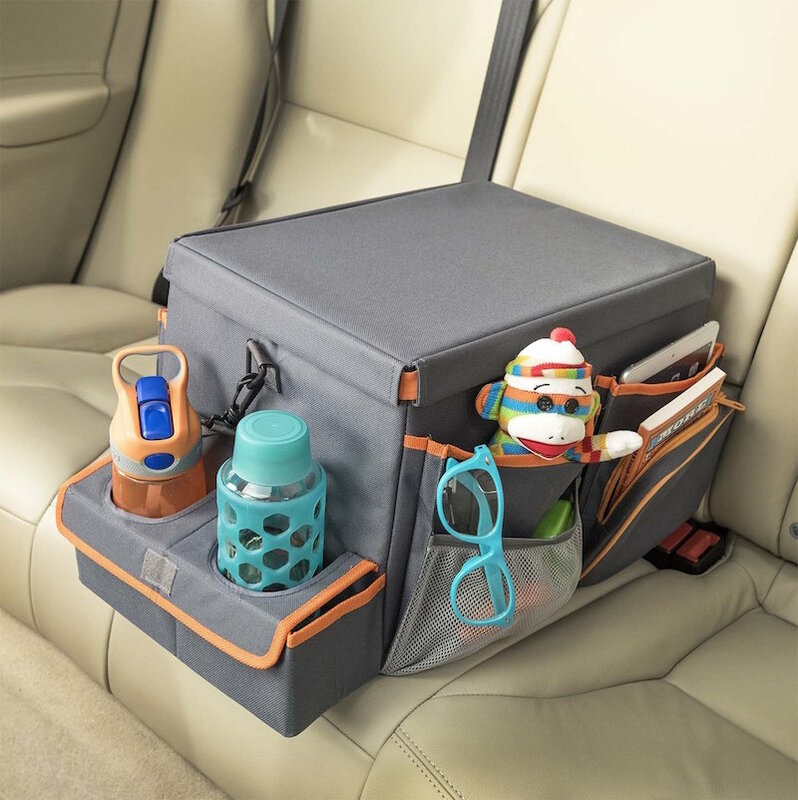 The front compartment can convert from a double drink holder to a storage bin if you need it, and the panelled cover has elastic banded corners for a tray! 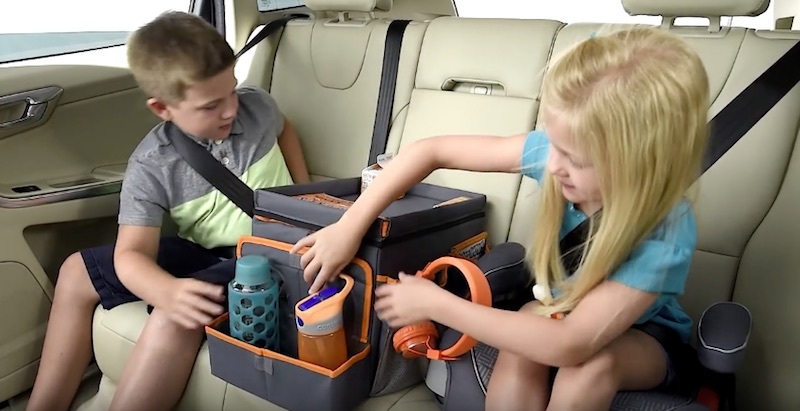 The rigid side panels, dividers, and lid secure the organizer in place in the backseat. 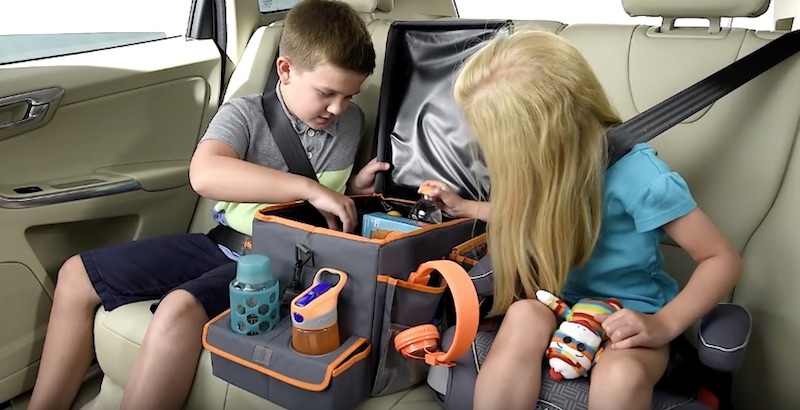 The booster seat height makes it accessible for kids of all ages, and the removable shoulder strap turns it into a picnic and beach pack! 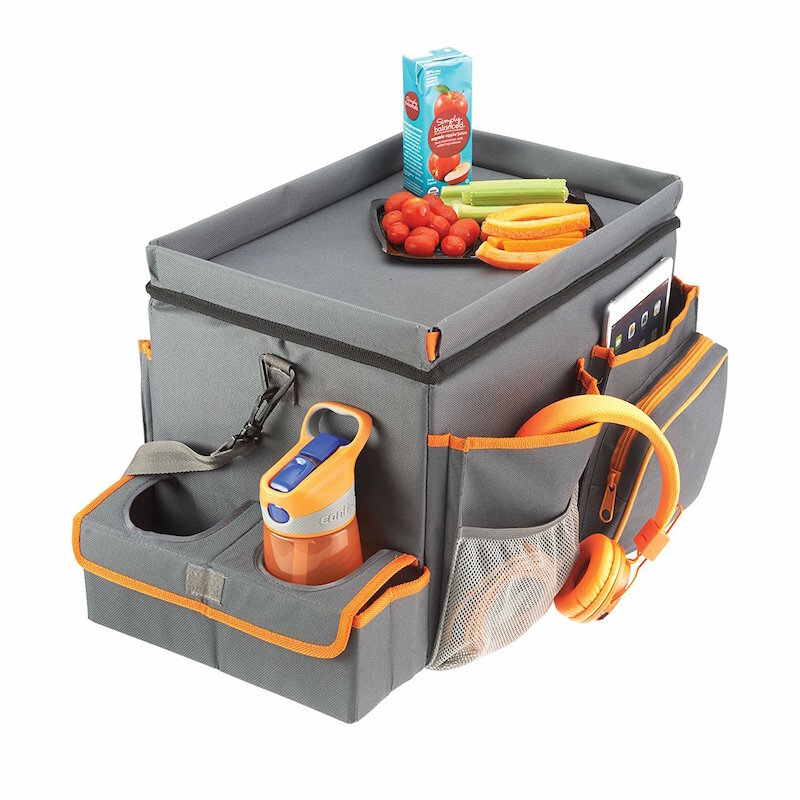 The inside cooler compartment is leakproof, keeping your food safe and secure. 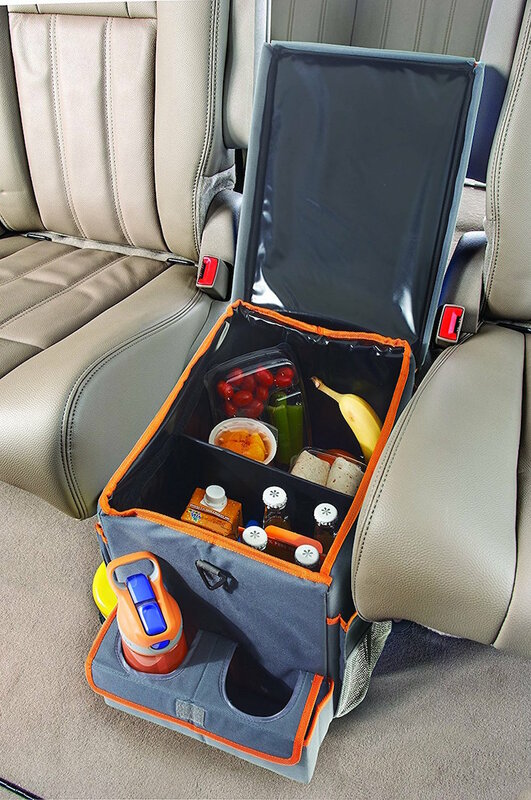 The inside also has compartments for drinks and food!